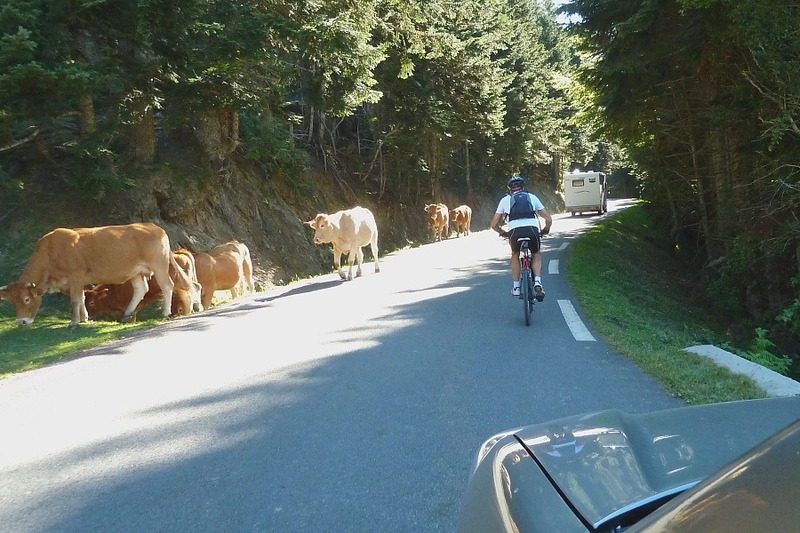 Having driven up the giant Col du Tourmalet yesterday, we thought we’d try another of the Tour de France cols, the Col d’Aspin. 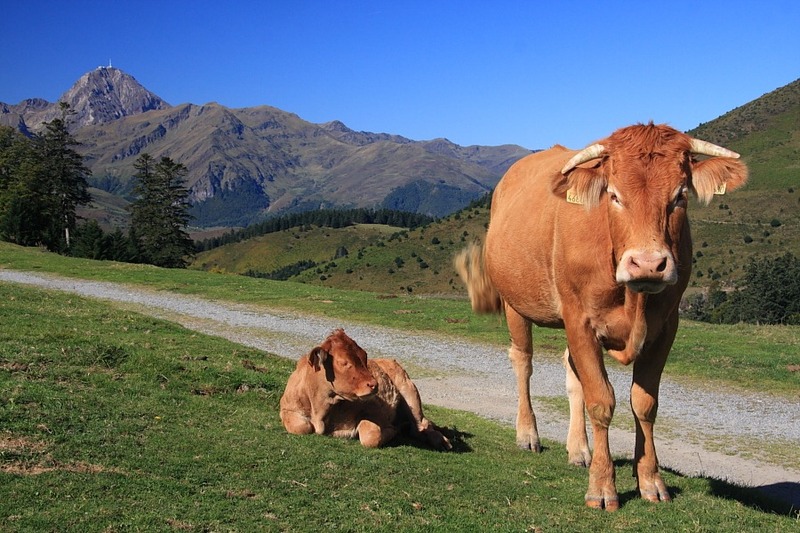 The most important quality an organizer of Le Tour can possess is that he or she be a complete and utter sadist. It is completely insufficient to make cyclists ride 200kms/125mls finishing at an altitude of 2115mtrs/6900ft after a 17kms climb at an average gradient of 8%/1 in 12, you have to give them a couple of leg-loosening climbs before they get to “the big finish”. 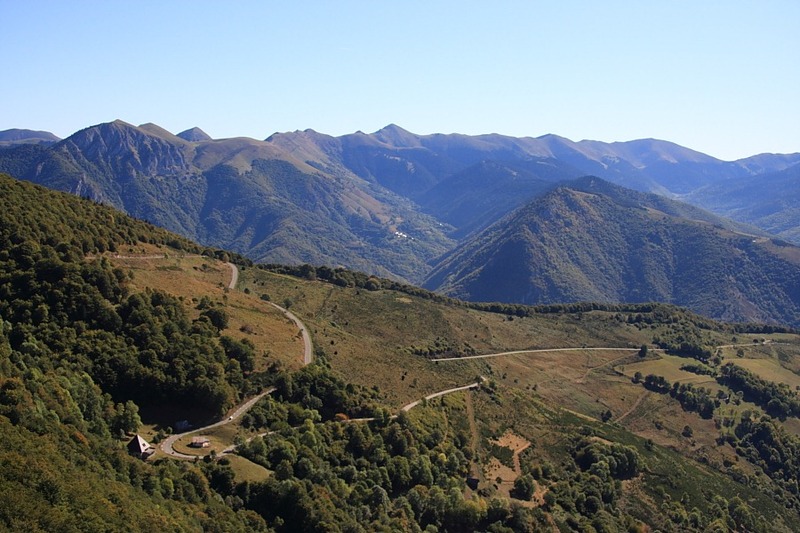 One such intermediate test is the Col d’Aspin: a climb of a mere 12kms/8mls to an altitude of only 1489mtrs/4500ft. It’s pretty close to our campsite so off we set. Rather than doing a circuit this time, we did a there-and-back. Since the ski resort of Payolle had looked pleasant on our way up, we called in on our way down in search of a spot for a pique-nique. 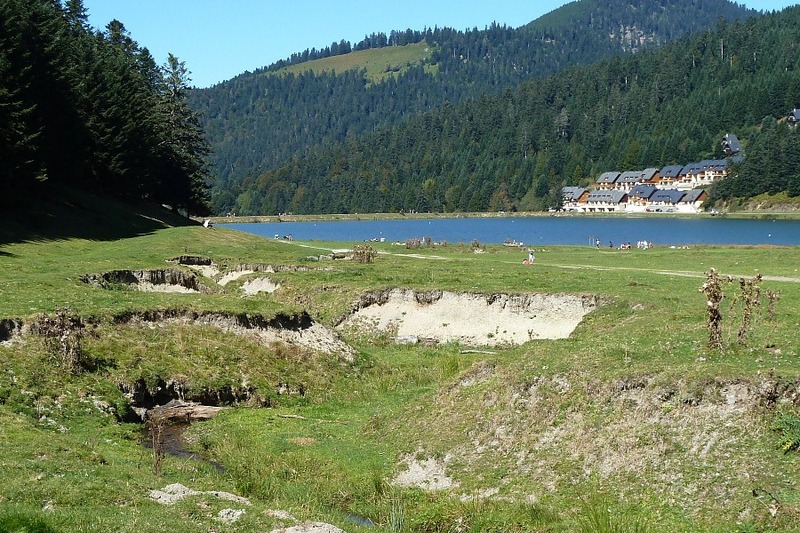 Lo, a lake was signposted, the Lac de Payolle and a very pleasant spot it turned out to be, too. Being Sunday and the fête des grand-pères to boot, dozens of French families together with about 30 motor vans had had the same idea. Those who weren’t indulging in a pique-nique were mostly intent on fishing. Nonetheless, the area was large enough not to feel crowded. Other than our pique-nique, we were the odd ones out. There was a flush feeding the lake where a few dragonflies were buzzing about which just had to be stalked. 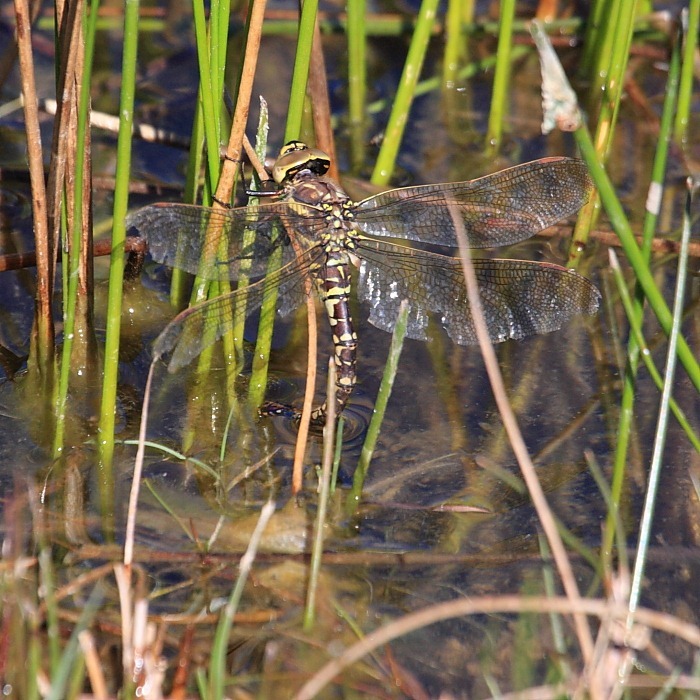 Eventually a hawker female became relatively cooperative and began ovipositing where the camera could just about see her – my 9th new species for this trip, a Common Hawker (Aeshna juncea).